Teradek Bond II HD-SDI H.264 Cellular Bonding Solution. Bond II is an exciting addition to the award-winning Bond camera-top cellular mux family. Bond II was designed to function as an efficient and portable bonding solution that excels in time sensitive situations and challenging environments with minimal manoeuverability. Its compact, light weight and low power consumption combined with its cost-effective price make Bond II an unbeatable value for broadcasters. 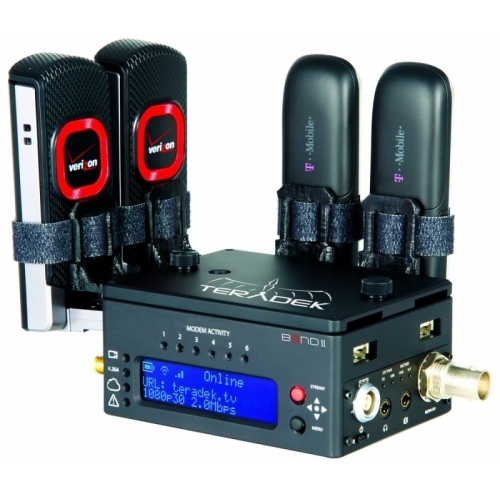 The device comes with a built-in HD H.264 encoder, HD-SDI input, 6 USB slots for 3G/4G/LTE modems and requires fewer cables than the original Cube + Bond system. Additionally, Bond II offers a flexible new modem mounting option that ensures your cellular dongles are protected from aggressive handling. 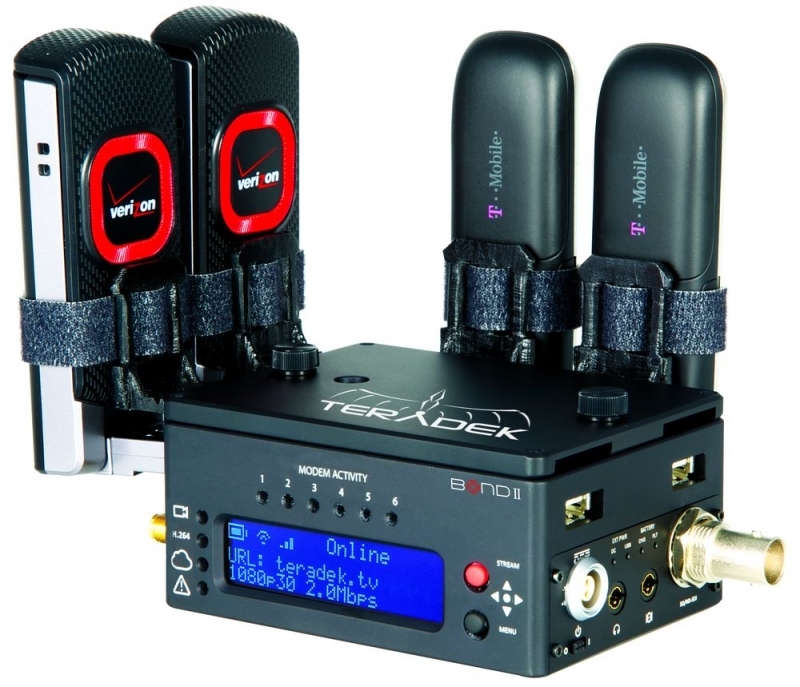 As with all Teradek bonding solutions, Bond II is compatible with Sputnik 2.0, which offers IFB communication, remote monitoring, and broadcast redundancy.